It is incredible to think that this world so advanced and modern, is still home to some truly prehistoric wildlife and scenes of completely timeless natural phenomena. 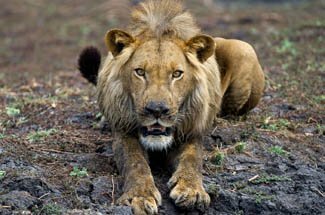 Luckily, this is the case and safaris around the world happen to be Odyssey Travels’ absolute speciality… from the mighty and rare Indian tigers to the even mightier African elephants – we have visited them all, and know the best pockets of natural splendour to visit on planet earth. The beating heart of the natural world, the Galapagos Islands, should be first on any wildlife lover’s hit list – the ultimate untouched natural world which you can observe on a five star luxury cruise… what better way to safari? Other options, equally as captivating, can be found all over Africa – the mother continent of unbelievable wildlife which seems completely detached from the 21st century. Escapism and wonderment is what can be found when revolving a trip around spectacular wildlife, and we know where in the world you should visit in order to find the absolute best. For a safari experience and wildlife in abundance, Africa is the ultimate destination - it has so much! The sheer concentrations of animals and the unbelievable variety of species are unparalleled throughout the rest of the world. All of these species in one huge canvas of absolutely stunning landscape variety makes Africa the top destination for anyone seeking the natural world at its best and most magnificent. From the rare and grounding experience of trekking the endangered mountain Gorillas of Rwanda, to dodging hippopotamus on a boat in the Okavango Delta or even sipping champagne in the middle of the sprawling mass of 2 million wildebeest on their harrowing annual migration in the Serengeti – Africa absolutely has it all. Asia is a one of a kind and fabulous wildlife destination. India’s tiger safaris seem to be what most would think of when considering a safari in Asia. However, there is so much more, and so much which is completely unique to this beautiful and captivating continent. The unique snow monkeys of Japan are truly a site not forgotten in a hurry, and over to Borneo for the famous Orangutans which will ground you as they will entertain you. China’s pandas also offer a unique insight into the life of such an incredible and fascinating species. 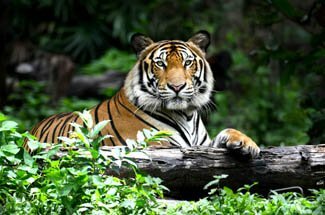 You can avoid cities all together and simply bask in the beautiful countryside which Asia boasts – sleepy and enchanting, a nature driven trip to Asia promises so many enchanting wildlife experiences, and delivers just that. South America is home to so much wildlife and a safari here in many areas is completely unique experience. The huge and completely wild Patagonia and the leafy stirs of Costa Rica both offer equally as enchanting but completely dissimilar safari experience. In every country there is such an interesting unique array of species to be marvelled at and enjoyed – The Brazilian Amazon offers that one of a kind Jungle Book experience and the Galapagos is rightly famed as the most untouched and interesting wildlife area on the planet. 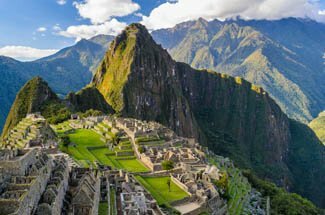 Whatever your interest, a South America safari will cater for it from the depths of the steamy jungle down to the penguins at the end of the earth; one thing is for sure, it will not disappoint.